5 Minute Face | By Millie. Recently I've had a few early starts and have had to conjure up a routine which I can do in a few minutes and be out the door. 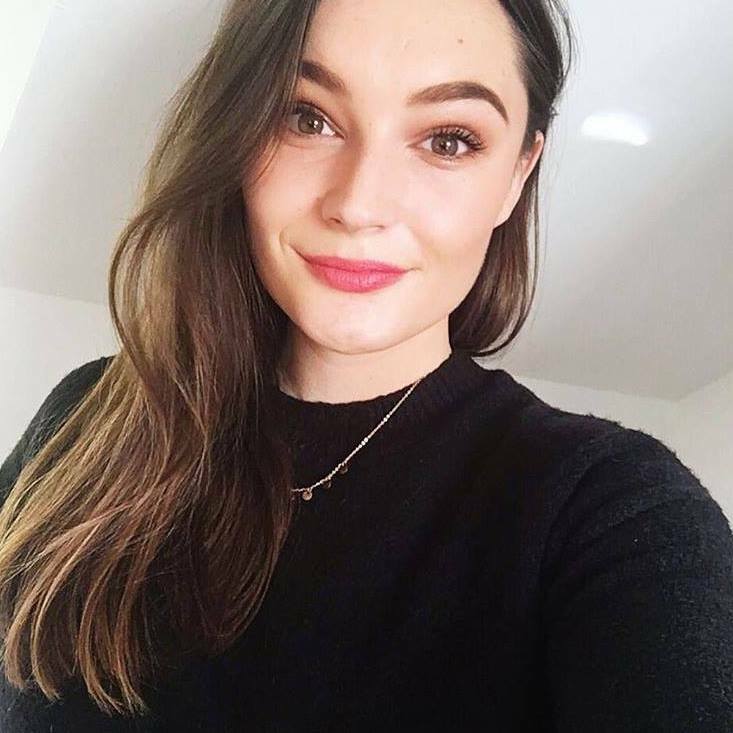 To me, this is the perfect natural, everyday look which can be worn for work or to school - if you're allowed any makeup at all - it's quick, easy and lets get started. First of all I always start with a clean face. I'll wash it either in the shower or it takes just a minute or so doing it over the sink. I then follow up with a simple skincare routine - tea tree water, origins serum and moisturiser - and I'm ready for makeup. I start with something thats going to give me a fresh glow and wake up my tired skin, for that I've been loving the Body Shop Vitamin C Glow Enhancer. I've mentioned this a few times over the past week, purely because it's a great base for makeup and even on it's own it makes the skin smoother and more even. On top of that I love something light and I can pop on with my fingers if needs be, the Bare Minerals Complexion Rescue is a lovely tinted base and covers well but still moisturises and keeps the skin looking fresh throughout the day. Of course I can't go a makeup day without concealer, so pop your favourite under eye concealer on and we'll move on to cheeks. I love palettes that do it all, so the Urban Decay Naked Flushed Palette is perfect for covering the cheek area. It has a nice bronze, a pinkly highlighter and a pinky peach blush which go really nicely together - as you would expect - and they have great colour pay off. I use the bronzer first of a fluffy brush and apply that under my cheekbones and around my face, I don't do any fancy countering here, just bronzing the face. I then take an angled brush and mix the highlight and blush together and apply those to my cheekbones. As I've recently had my brows threaded, filling them in is a hell of a lot easier so I've just been grabbing a tinted gel and running that through them. The Benefit Gimme Brow is my favourite for this as it contains little fibres which create the illusion of thicker brows. I kept the eyes simple and used products which I know work well and last all day. I've been running the Charlotte Tilbury Barbarella Brown Rock n Kohl Liner in my tight line and upper lash line which naturally defines the eyes. I then curl my lashes and apply mascara, and that's the eyes done! For lips, I use anything which is in arms length and isn't too fussy to apply. The Fresh Sugar Tinted Lip Balms are great as they nourish the lips as well as giving them a nice hint of colour. I must buy the complexion rescue in July. I can’t read about it anymore, I have to try it!